From my perspective on this clear night in the Texas Panhandle, I could see every star in the sky. 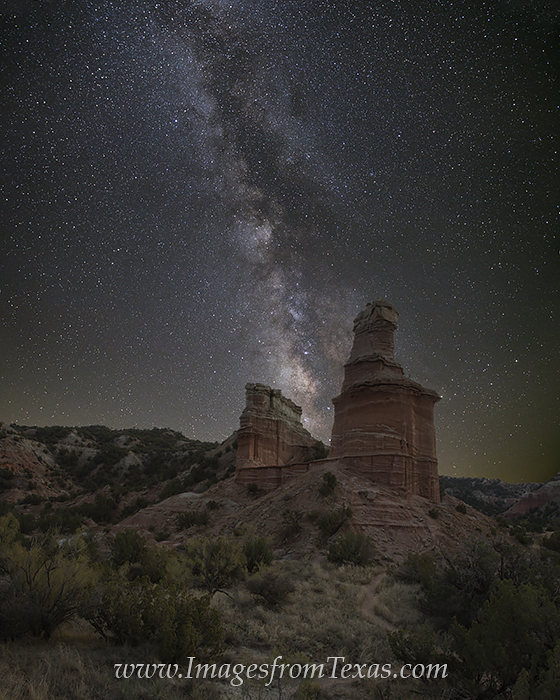 In the foreground, the iconic hoodoo, the Lighthouse, rose into the cool air as the Milky Way made its way across the heavens. All was calm and quiet, and I savored the time there. Photo © copyright by Rob Greebon.